Part of our Horse Fence Tools range. 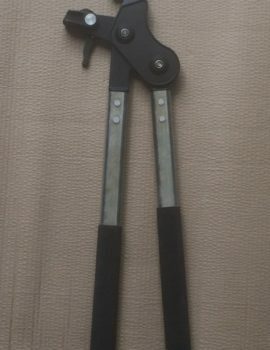 These horse fence tools are perfect for removing the polymer coating from the wire in our horse fence rail. These sturdy tools are used to assist in preparing the horse fence rail ready to attach to the end post. The two “v” shaped jaws can be brought together to firstly cut the polymer (whilst still on the wire) and then neatly close down on the wire and be used to pull the polymer from the wire. Super sturdy and tough they are perfect for horse fence installations. They will take a beating, while making easy work of removing the polymer from the wire. Also the adjustable guide can be set so as not to damage the galvanised wire, by tightening the metal bolt to fit our 2.5mm wire. 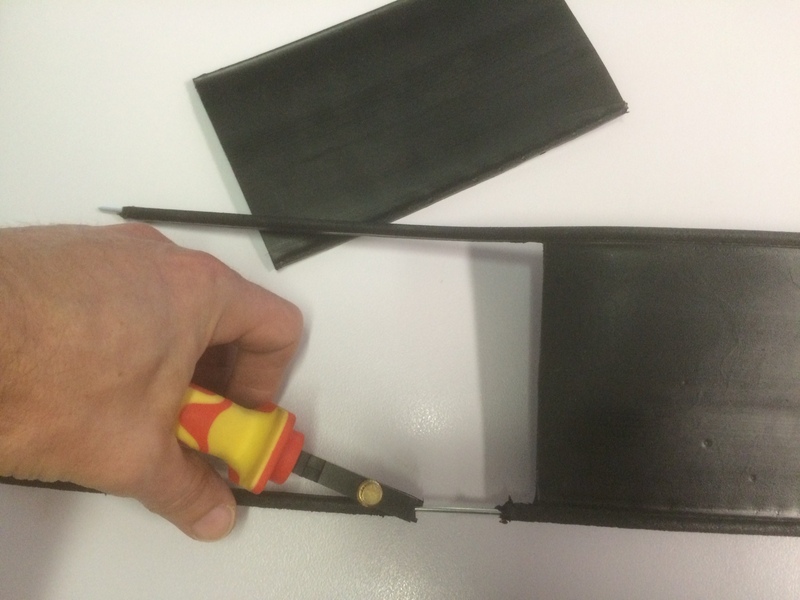 This gives the installer confidence when squeezing down on the polymer coating and easily pulling the polymer away. 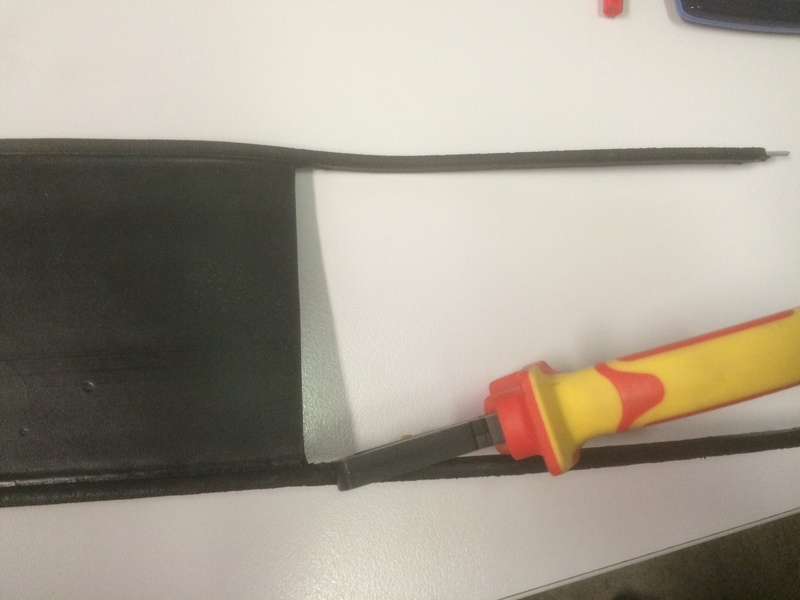 The horse fence tools come conveniently packaged in a blister pack. 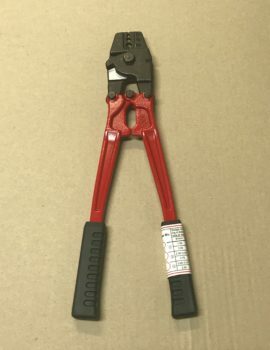 Our wire strippers are insulated which is perfect for those hot weather installations, staying cool no matter the weather. 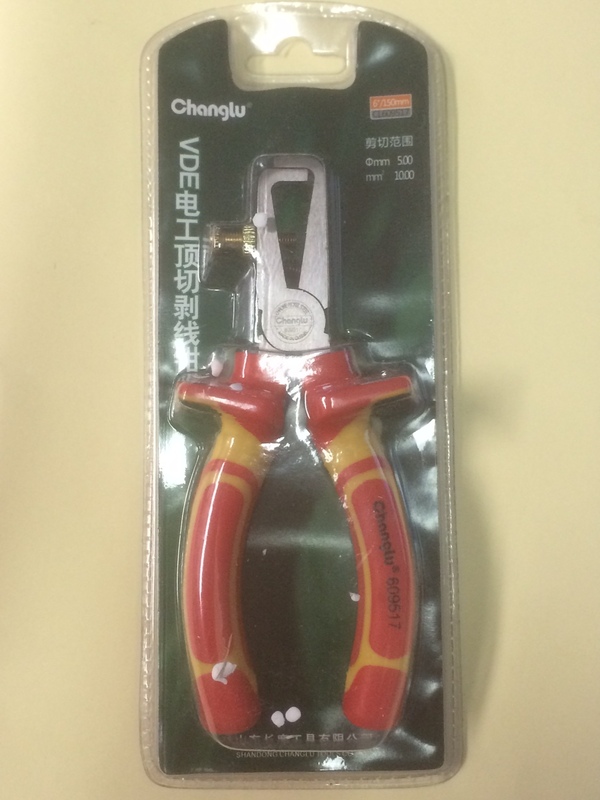 Close the pliers around an exposed piece of wire. Tighten the metal bolt so that the v shaped jaws fit neatly but not too tight around the wire. Now close the pliers around the polymer coated wire at the point you want the polymer to end. Note because you adjusted the bolt in step 1 above you can squeeze the pliers as tight as you like without risking damage to the wire. 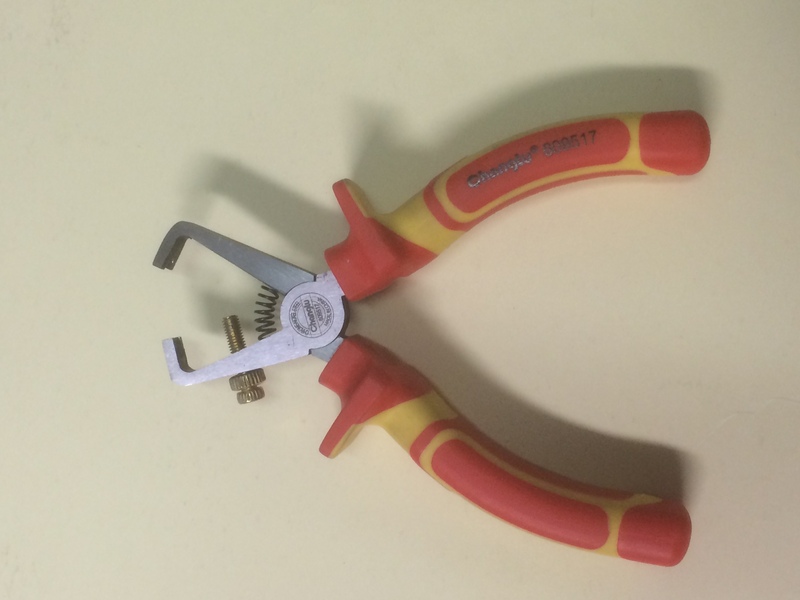 Turn the head of the pliers around the wire in a circular motion to cut the wire, until a cut is visible around the wire and the galvanised wire can be seen. 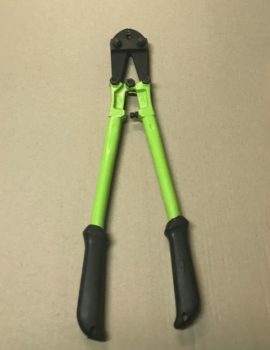 Sometimes it helps to use a traditional set of pliers to twist the section you want to remove to loosen the bond between the polymer and wire. 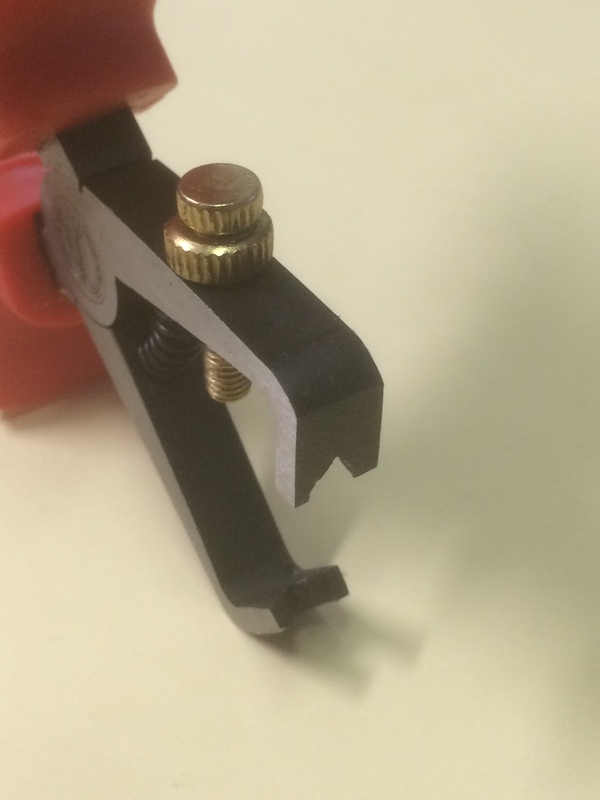 Once a cut has been made, tighten the head of the pliers onto the exposed wire in the middle of the cut. Whilst holding the rail completely still, pull the pliers towards the end and the polymer should be easily removed from the wire. Refer to our installation guide for further instructions on how to prepare the rail for attachment to the either the end post. Or take a look at our youtube video Installation Video – Prepare the Rail for straining (please note this link shows how to use traditional pliers).